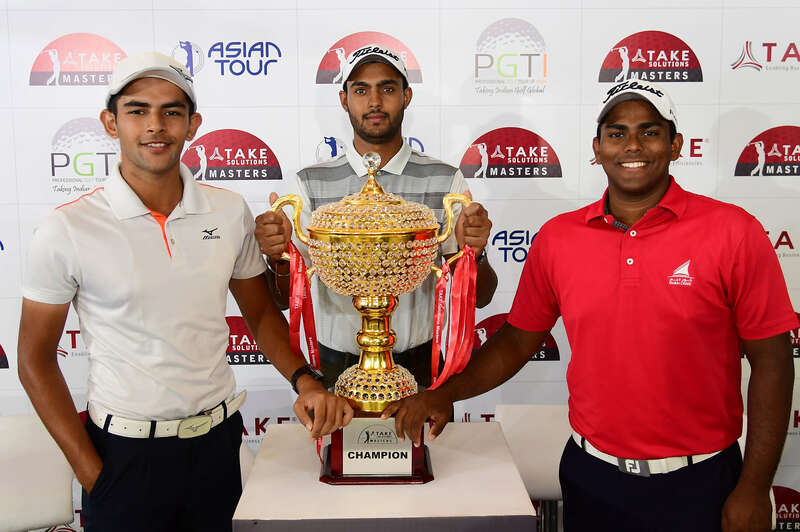 Bengaluru, August 10: The Asian Games-bound trio of Aadil Bedi, Harimohan Singh and Rayhan Thomas are relishing the chance they have got to play alongside the leading stars of the Asian Tour at the ongoing TAKE Solutions Masters this week at the Karnataka Golf Association. Three of the four members of the Indian team are here this week, with the only one missed being Kshitij Naveed Kaul, who is practising elsewhere. Having had the chance to play at the course, which will host the Asian Games golf competition in Jakarta during a special camp organized by the Sports Ministry for the team, which includes four boys and three girls, the boys are now playing with the professionals. Grabbing the opportunity, Bedi shot a superb 3-under 68 to get to T-14 after the first day, while Hari Mohan was 2-under 69 and T-28. Rayhan had a disappointing day, and shot 3-over 74. Six-time winner on Asian Tour and Olympian, SSP Chawrasia, who played the first round with the 17-year-old Bedi, was very impressed by the way the youngster carried himself. “He is focussed and has the game to go a long way. I was very happy to see such a mature head on such a young player,” said Chawrasia. Bedi also played the Asian Development Tour (ADT) event last week and finished T-14 with rounds of 70, 67, 73 and 68 as Rahil Gangjee won the event. Harimohan missed the cut. Thomas, who is Dubai-based, has been playing in US and Scotland and is due to join Oklahoma State University, where he has been selected for a golf scholarship.